Welcome to Postcards of the Prehistoric Monuments of Western Europe. 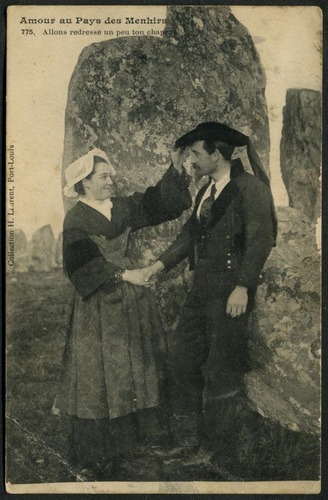 Over the following months I will be adding to this site images from my personal collection of approximately 1200 old postcards of the megaliths of Europe, mostly dating from the first few decades of the 20th century. This will not be a speedy process as the cards will all need to be scanned and uploaded, and then arranged. Please note that the images here are copyright of Chris Bond and should not be reproduced elsewhere without permission. Please contact me if you would like to use any of the images here. Publishers and broadcasters are also welcome to contact me regarding the provision of high resolution images of the cards featured.